It’s Thanksgiving weekend and Trump just said what he is thankful for is, wait for it….he’s thankful for HIMSELF! Are you surprised? He says he is just what America needs. He sure is. He is the gift that keeps on giving. He has ignited the forces that are going to take him down. For those of us who cannot stand this president, this administration and the Republican enablers who support him, I believe there is good news coming and something to be thankful for two years into the worst administration in the history of this country. This game is about to change. And when it does, Trump is gonna hate it. He lashes out whenever anyone challenges him. He is going to be challenged. He will become even more disgusting and despicable, sealing his fate for multiple indictments once he leaves office if he cannot be impeached before then. 1) We have never had a president who approved of murder and dismemberment before. That stance he has taken has shocked and nauseated even some of his most loyal supporters. The reason he gave for his willingness to look the other way to Khashoggi’s torture and murder, which was ordered by the prince of Saudi Arabia, MbS, was that he claimed the US is getting a big economic benefit from the Saudis. That, however crass and amoral, is not even true. Which leads anyone who understands Trump to realize that Trump must be getting something personally rewarding out of his relationship with the Saudis. Trump is, no doubt, reaping some kind of huge personal financial benefit from the Saudis. Because of that he is willing to condone torture and murder. We are going to get the truth about what he is getting from the Saudis now that Adam Schiff will lead the House Intelligence Committee. Even Senate Republicans are horrified and repulsed by this one and they have joined Democrats to send a Global Magnitsky letter to Trump. Trump will have to decide whether or not MbS is responsible for the murder and report back to the Senate Foreign Relations Committee which would trigger either sanctions or a global condemnation of Trump. 2) We never before had a president who attacked the Chief Justice of the Supreme Court and the judiciary the way Trump has done and that will have consequences he does not anticipate. Trump got angry that a district court judge in San Francisco ruled against his latest border policy limiting entry of asylum seekers because what Trump wants violates national and international law. Trump verbally accused that judge of being an Obama political appointee, a hack, because he didn’t decide the matter in Trump’s favor. He also railed against the 9 th Circuit Court of Appeals. Chief Justice Roberts, who is concerned about the politicization of the courts especially since the Kavanaugh hearing was so blatantly political, spoke out saying that it does not matter which president makes an appointment because federal judges decide cases impartially. Trump tweeted back at Roberts that he was wrong. Even if some judges do have biases, all good federal judges pride themselves on being fair and deciding cases based on the law and precedent, not on their political leanings. What Trump just said was deeply offensive to most self-respecting judges. The ultimate irony is that Trump appointees including Kavanaugh and Gorsuch, are likely to bend over backwards after this to avoid looking political and favoring Trump in any way to prove they are NOT political hacks. The Supreme Court may have that opportunity relatively soon if it is called on to weigh in on whether Trump must respond to a grand jury subpoena. The law is clear that he must if you follow precedent. Presidents are not above the law. I think Trump just increased the likelihood that Kavanaugh, Gorsuch and all the other Trump appointed federal judges will do what they can to avoid the appearance of being political hacks by relying more heavily on precedent so that they will not be seen as stooges for Trump. 3) The blue wave was not only a wave, it was a mega blue wave that is an indicator for the future. The Dems got 40 seats in the House. A huge win. It has been estimated that around 10% of Republicans voted for the Democrat in their district’s House race to put a check on Trump. 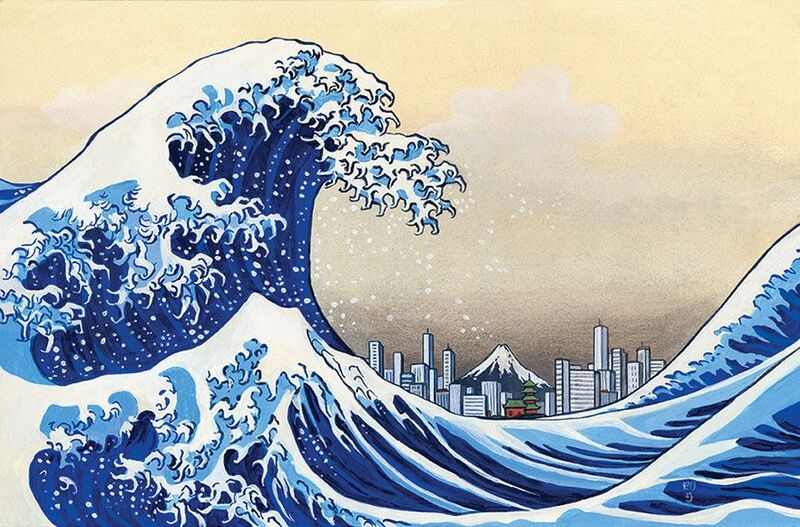 But for gerrymandering and voter suppression, the blue wave would have been a tsunami. Anyone who is not in denial knows how powerful that blue wave was now that the votes are in. Senators know that. Including Republican Senators who also know they are going to face a much tougher road for their own re-elections in 2020 because of Trump. This midterm, Americans clearly rose up against Trump by the millions demanding a check and balance. He was rejected for being craven, amoral, and an embarrassment. Women in the suburbs became an army of foot soldiers canvassing, emailing, calling, and writing post cards to voters in swing districts to remind them to vote. Americans came out in historic numbers rivaling a presidential election. Dems won the popular vote by the largest margin since Watergate. Millennials rose up and voted. Hispanics showed up and 60% voted for Democrats. Over 100 new groups were formed to GOTV, help new candidates, and educate the electorate; they functioned as part of a progressive army to win back the House along with the DNC, DCCC and other Democratic groups. New donors and new donor groups like Act Blue stepped up to provide support for candidates across the country. It was effective. This movement is not going away!! If anything, it will get stronger as Trump goes further off the deep end. Perhaps most important of all was that Trump lost market share with his base of low education working class white men and women in states that voted for him in 2016. Many are angry about his trade war tariffs and the tax bill that is hurting them in their pocketbooks. Their lives are not better. A portion of his base has lost their faith in him. Not all of them, but if enough of them leave his side, Trump is in trouble because his loyal base is too small as it is. If Trump were a normal person, he might see the handwriting on the wall and quickly try to pivot; try to be inclusive and a unifier not a divider, try to be nicer to people like Admiral McRaven instead of insulting him, or read the information his staff gives him so that he doesn’t say so many stupid things. But we know better by now. Trump is incapable of change. He will continue to fail and fail badly. 4) Trump definitely obstructed justice. We have learned that in April of last year Trump asked Don McGahn to tell the DOJ to initiate prosecutions of Hillary Clinton and James Comey, people he thinks of as his political enemies. McGhan refused and tried to warn Trump. We also know that Mueller already knows about Trump’s requests of McGahn because McGahn sat down with Mueller for some 30 hours of interviews. I think that information is the nail in the coffin for Trump on obstruction of justice. Intent is hard to prove when it comes to obstruction of justice, but Trump did not just innocently dabble or mistakenly meddle. He consciously tried to interfere and he did it over and over. He did it on TV. He did it by Twitter. And now we learn that behind the scenes he tried to order McGahn to make HIS justice department not simply investigate but actually prosecute Clinton and Comey. I think we have clear evidence of his intent to obstruct justice. What Trump is doing is knowingly misusing the executive branch in an attempt to improperly influence an investigation into himself which is obstruction of justice. I expect that to be one of the counts in his impeachment. The truth will come out and it is going to be fatally damaging not only for Trump but his incredibly arrogant family. His daughter, Ivanka, has been caught using Jared’s private server for government emails. Really? Really? What could she have been thinking except that the rules don’t apply to her. Lock HER up! When the truth comes out about Trump, what will happen to the GOP? The truth about Trump is going to destroy the GOP unless they distance themselves from him. If GOP lawmakers do not reject him, their chances for re-election will be severely damaged because as Trump gets more and more unhinged and more and more factual evidence gets into the public square, a larger and larger portion of the American electorate will not tolerate this president or his enablers. I think Republicans in the Senate facing re-election will discover that they need to slip away from Trump as the truth piles up. Those Senators who face tough re-election fights in states that turned blue or are purple will be first to fade away from him since their highest goal in life is to be re-elected. The midterm election was a clear rebuke of Trump and a demand by the American electorate for oversight, restraint and consequences for this president. Trump’s behavior is going to get worse and worse as the truth comes out because that is how Trump deals with opposition. In the end Trump will be blocked and tackled by many forces rising up against him: Congress, the courts, the free press, the military, Mueller and the FBI, corporate America, pro bono lawyers working to reunite families that were separated at the border, Attorneys General across the country and by the American people. Our country is and will be punching back. We still have a robust democracy in spite of Trump and really because of Trump and for that we can be grateful to him for being a great big disgusting turkey this Thanksgiving. How is the Blue Wave Shaping Up for the Dems? 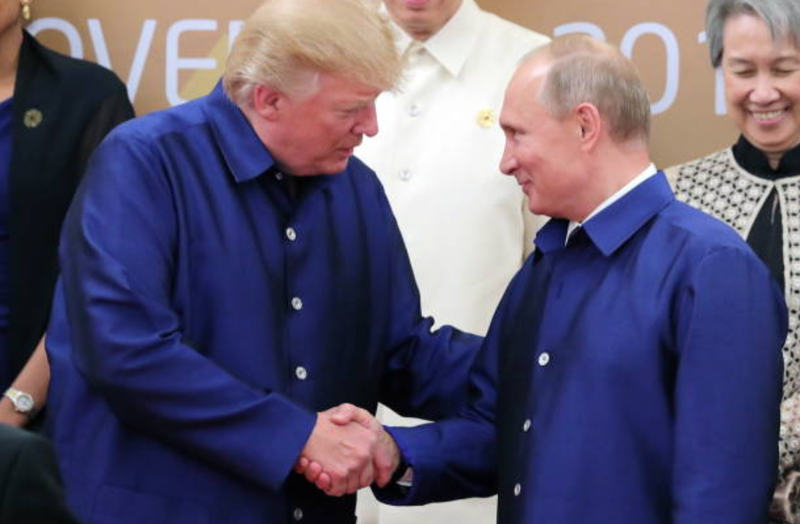 Why is Trump Doing Putin’s Bidding? Listen to this! Next post Why is Manafort’s Ripped Up Cooperation Agreement with Mueller the Way We Could Learn the Truth?